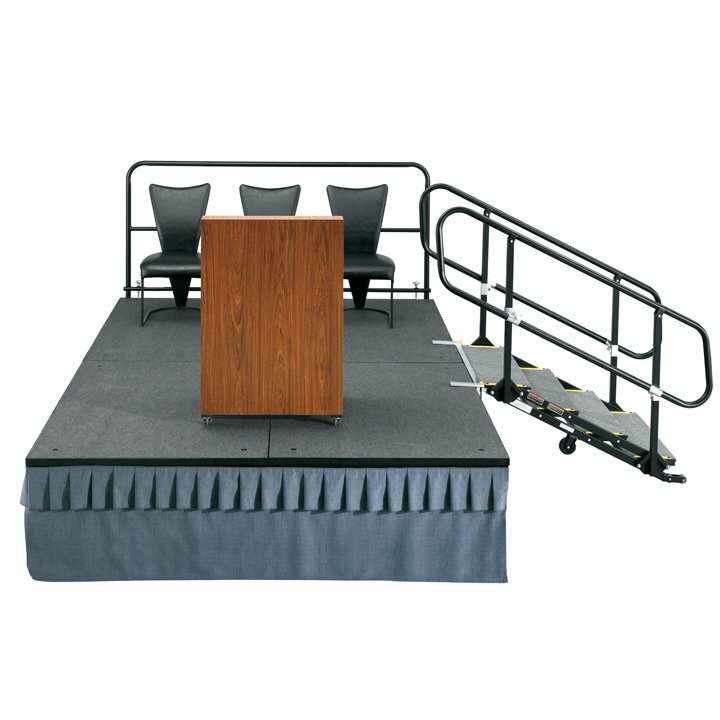 SICO® Tri-Height Mobile Stage units conveniently adjust in 6" or 8" increments and in two or three heights for maximum built-in flexibility. 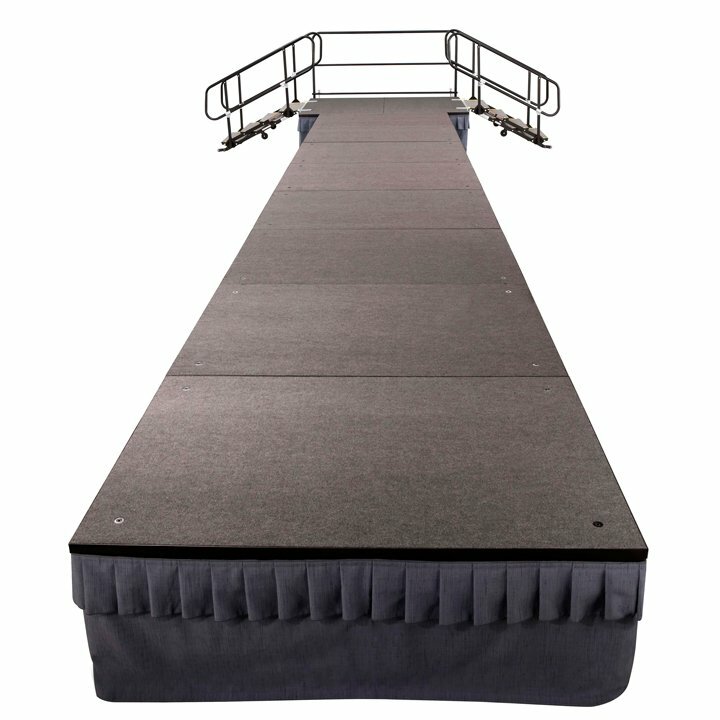 You can set up a single level for performances, meeting-room stages, fashion runways, or head table settings. 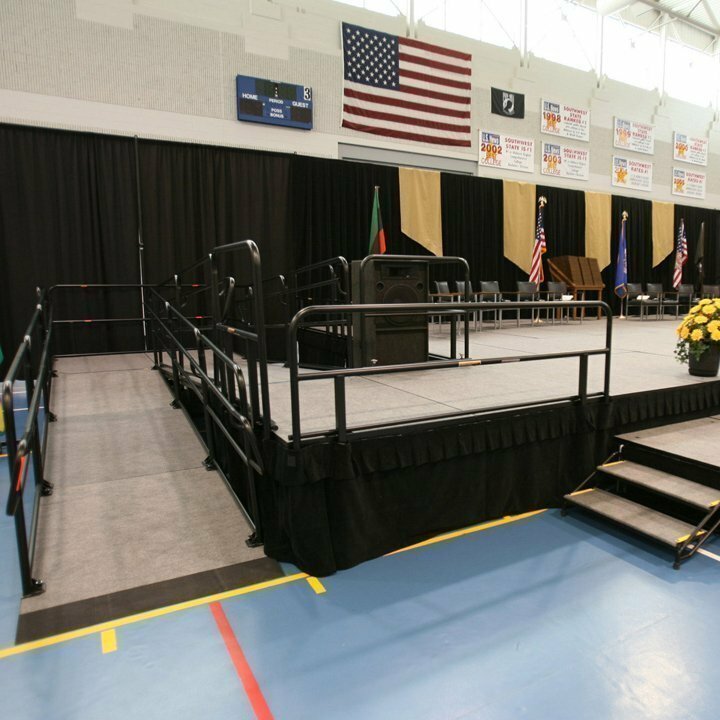 Or go with tiered configurations for seating or risers for musical performances. 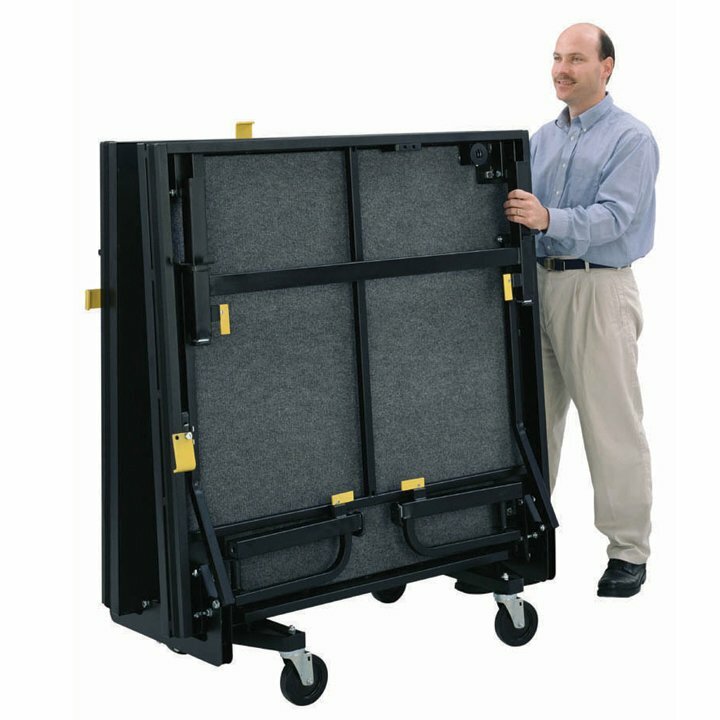 Each section of our mobile, folding Tri-Height Stage is designed to be handled by one person, keeping your staffing requirements and labor costs to a minimum. 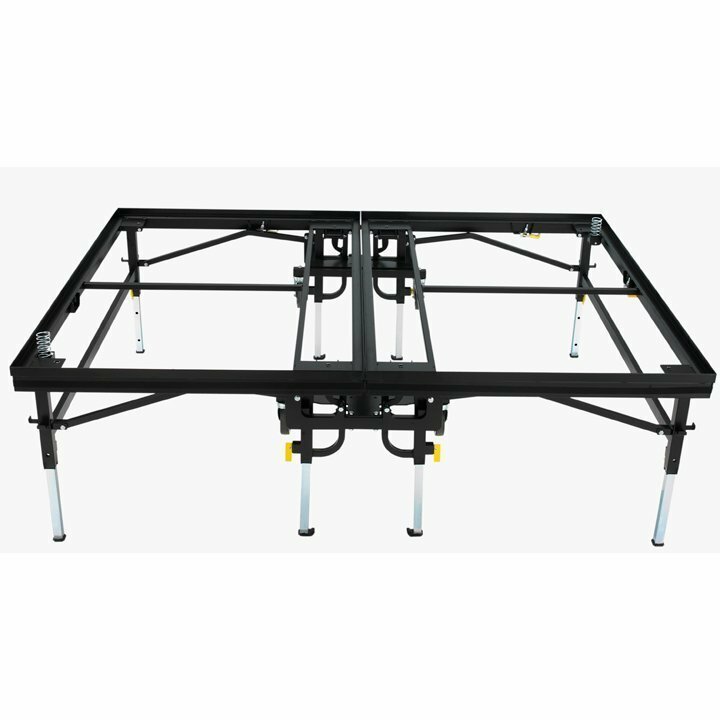 The stage is easy to fold, and changing heights is simple with our automatic Lock and Pin Mechanism system. Each Tri-Height stage adjusts in convenient 6-inch (15 cm) or 8" (20 cm) increments — so you can create the exact height and configuration each performance demands. 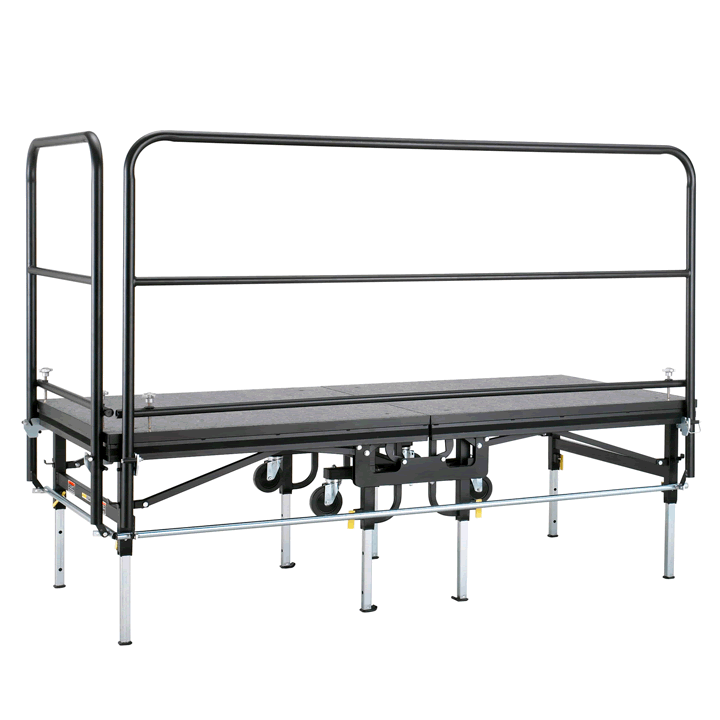 Plus, each stage unit rolls into the desired position and, when in use, rests on eight sturdy, load-bearing stage legs for ultimate stability and safety. 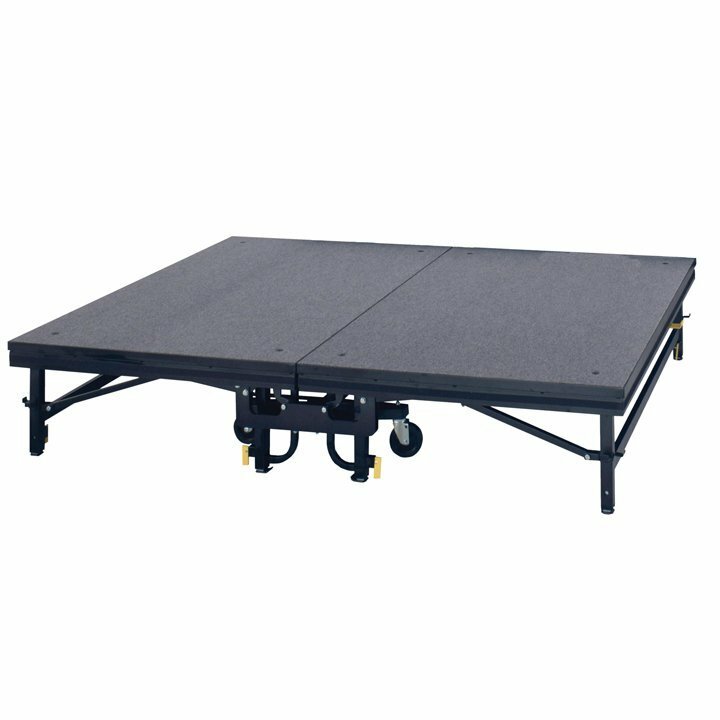 Our advanced Tri-Height Mobile Stage features innovative reversible decks, making it easy for you to maximize the usage opportunities for your stage. 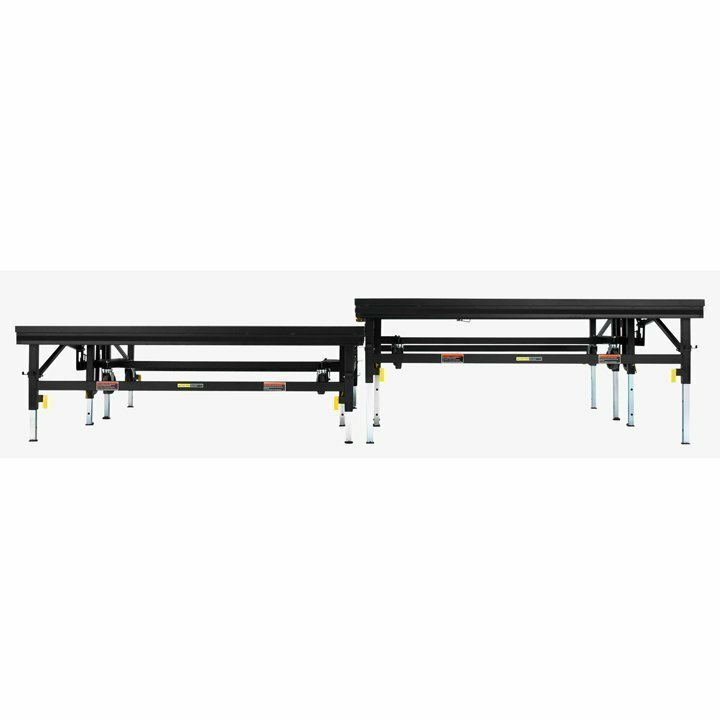 Choose from two deck configurations: 1) Long-wearing carpet surface and a scratch resistant Tuff-Deck smooth surface, OR 2) Scratch resistant Tuff-Deck on both sides. 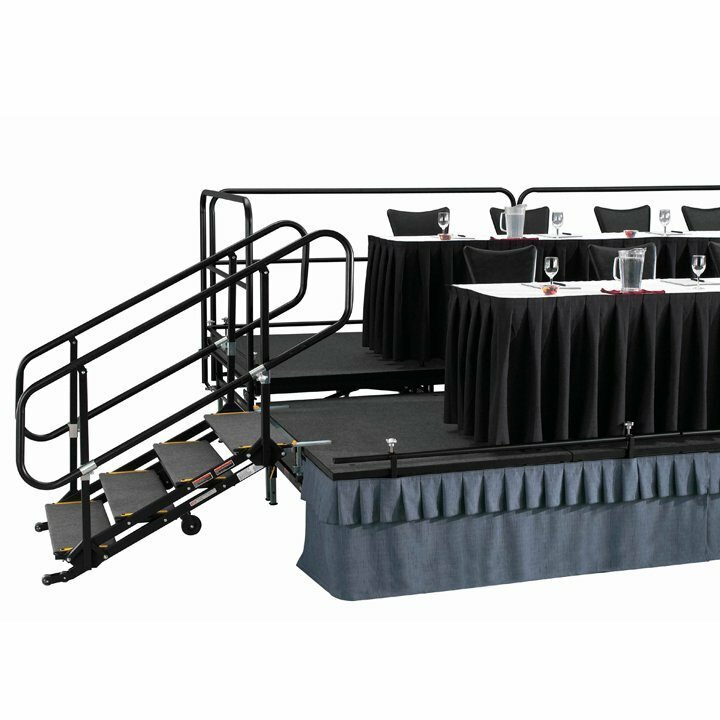 And, with the exclusive SICO® pop-up deck feature, you can choose a different deck surface without dismantling your stage set-up! 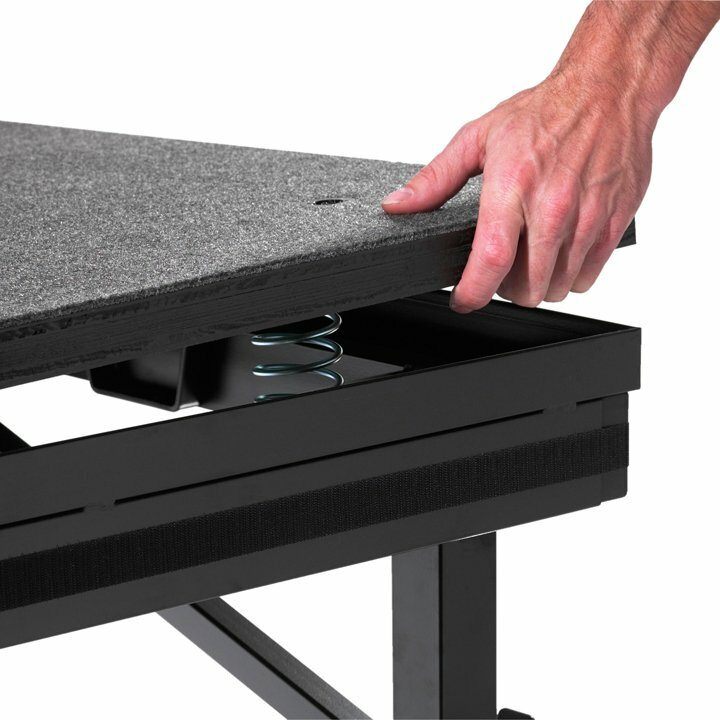 There are no buttons, latches, cables, or ropes to hassle with — it sets up in seconds! Multi-Length Drapes come in standard lengths of: 12″-18″, 16″-24″, 16″-32″, 18″-24″-30″, 24″-30″-36″, and 30″-36″-42″. When you want to add a finishing touch, accent the aesthetic, or shield the performers until curtain-time… a SICO® backdrop is the practical solution. They give the unit a very finished, professional look. 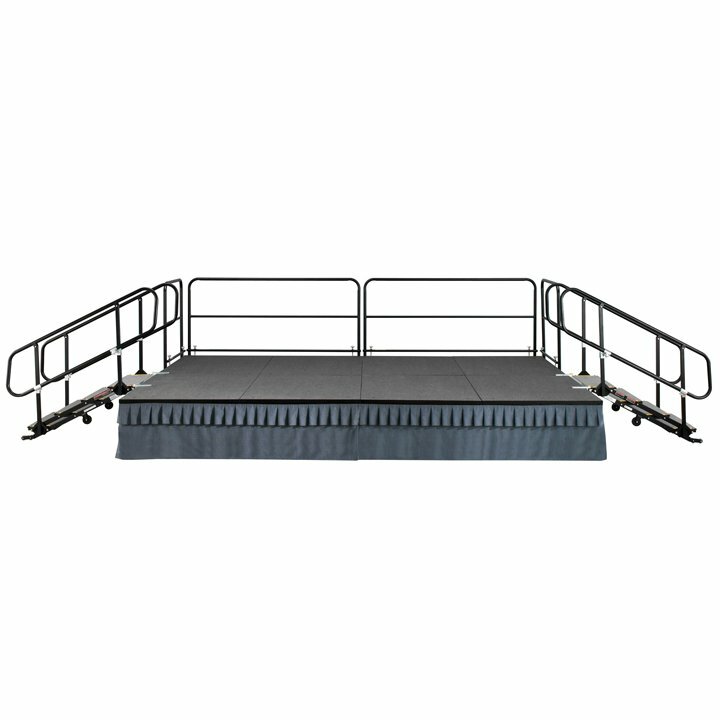 We offer transport caddies for easy mobility with all our portable stages and stage accessories such as draperies, enclosure panels, guardrails, chair/table stops, crowd barriers, guardrail covers, stage backdrops, and stage ramps.